Rodrigo Arboleda spent four days in Rwanda last week with country lead Nkubito Bakuramutsa, visiting new OLPC deployments there and meeting with President Kagame and Rwandan ministers of education. He commended the Rwandan deployment’s progress so far, and the country on its focus on education as a “consolidation of peace and prosperity”. Rwanda is the largest OLPC deployment outside of Latin America. 65,000 students and teachers have their own XOs, and another 100,000 are scheduled over the coming year. 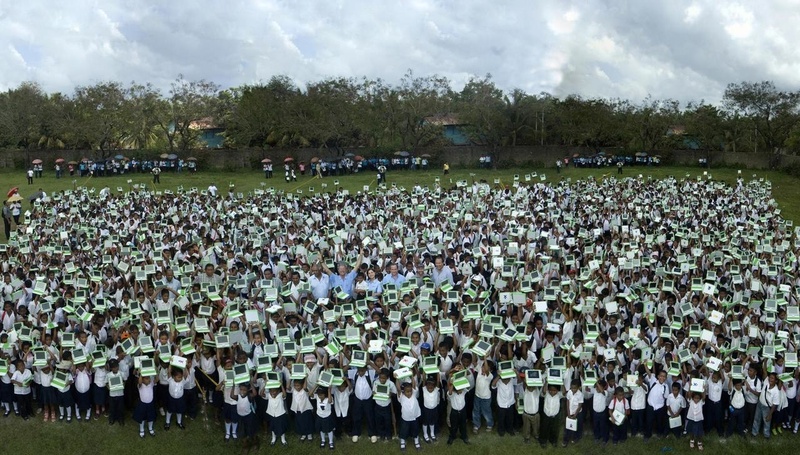 Rodrigo reports on his experiences with OLPC Nicaragua, and how the Zamora-Teran Foundation got the program off the ground. Their deployment has been progressing quickly, and working with children in Bluefields and elsewhere. 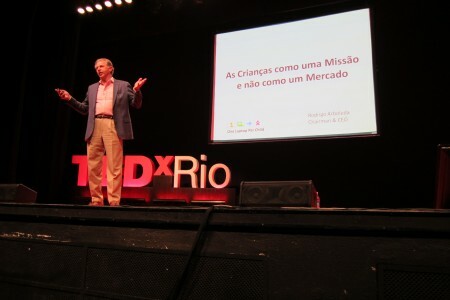 Rodrigo Arboleda spoke about OLPC at TEDxRio this week to a crowd of 800, with 7000 people watching online. The conference was a big hit in the Brazilian blogosphere, and one of the top trending topics in the world that day. TEDx has really captured the essence of TED without much of the overhead, and it’s great to see it flourish. Everyone there felt they were discussing how to contribute to human knowledge and development, and they left wondering how they could follow up on the event in more rural parts of the country – a great audience for an olpc talk. "Children are a mission, not a market"